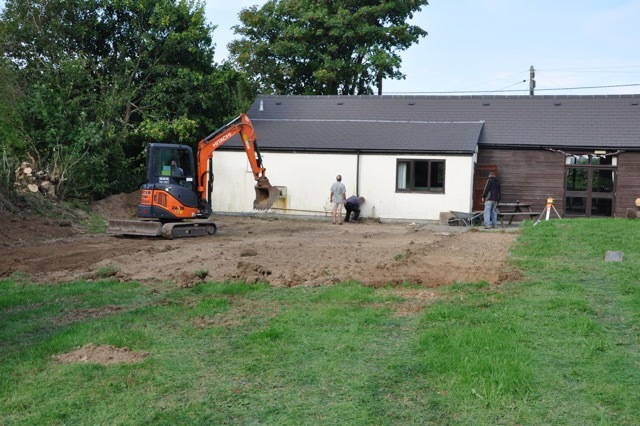 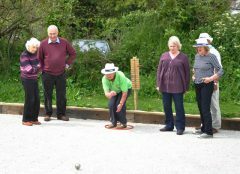 In 2014 the Village Hall was extremely fortunate to get a grant towards the construction of a boule court in the field behind the hall. 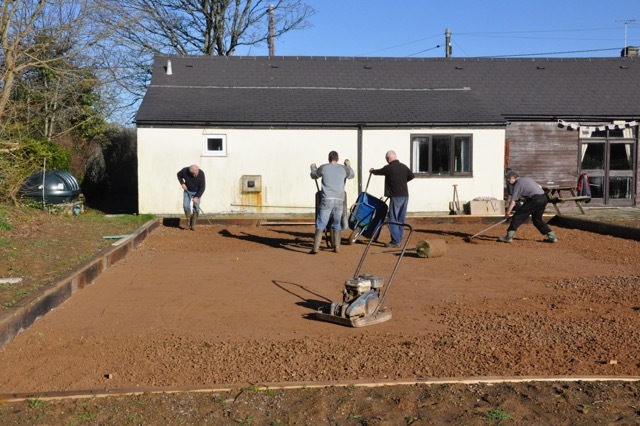 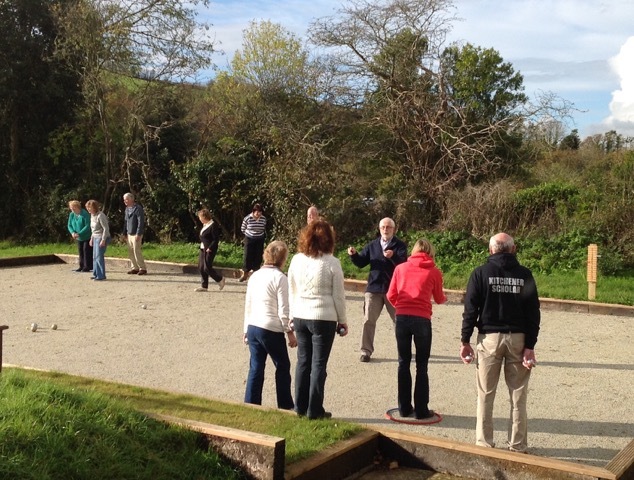 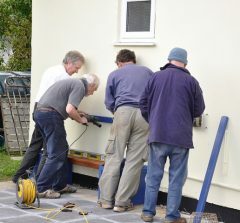 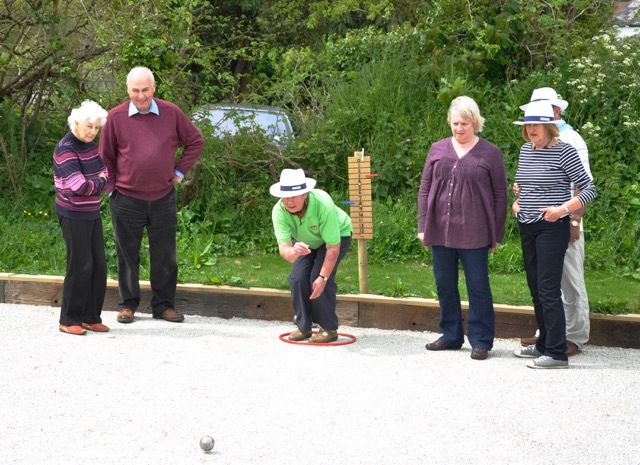 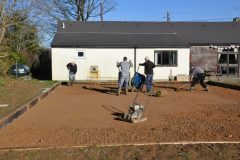 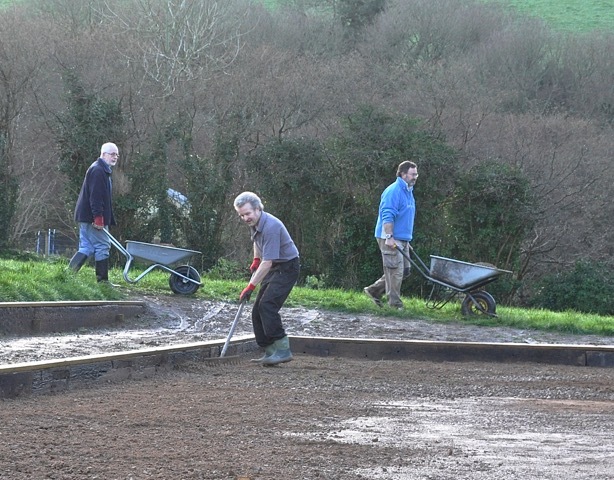 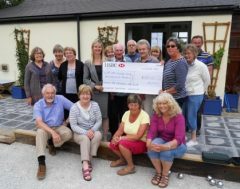 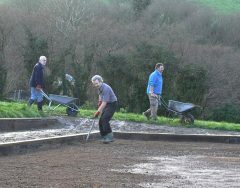 Villagers got together, under foreman Howard Everard, to spend most of the summer of 2014 busily building what is believed to be one of the most attractive boule courts in Cornwall. 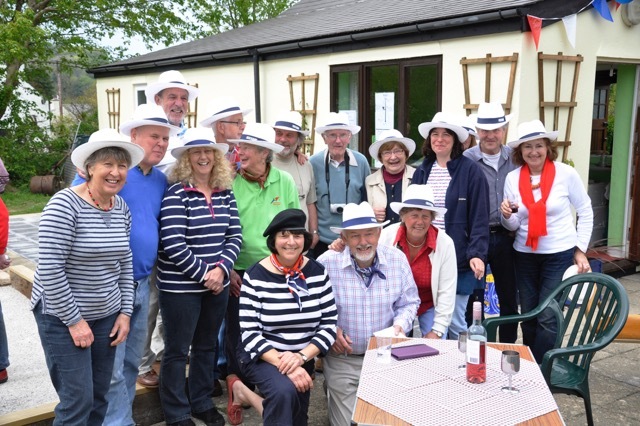 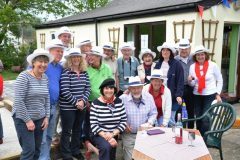 Boule has been very successful with a Boule Sunday events running at 11am until 1pm on the third Sunday in each month, weather permitting. This is very well supported with, on average, about 25 people in attendance and all three courts in action. 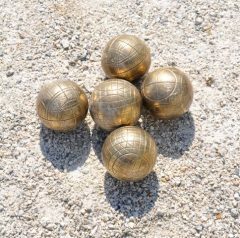 Teams are made up of two, three or four players, and as there are three courts there is plenty of play with virtually no waiting. 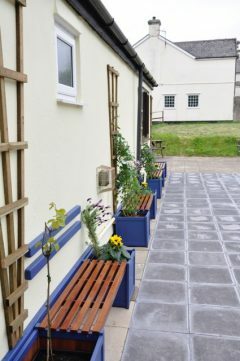 Bring your own drinks of just have a coffee! 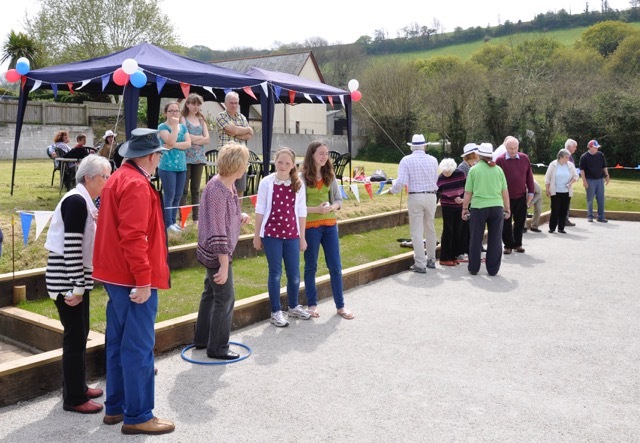 For those not so keen to brave the elements there is a table tennis table in the hall for the less hardy amongst us. 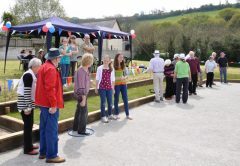 We also arrange ad-hoc Boule bar-b-q events, throughout the year, which are also proving very popular, so watch this site for details.